The Ritz Studios had been looking for a program with which we could support our community. Many of our guests would arrive with time or goods that they wanted to share with local organizations. In the fall of 2014 we were fortunate to discover Pack for a Purpose. 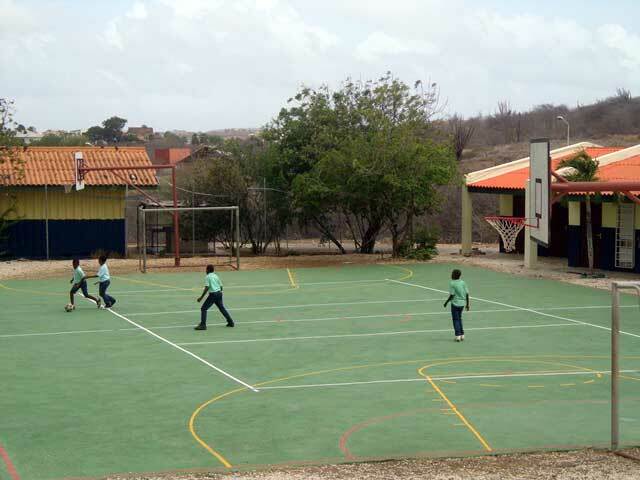 We organized with five projects in Curacao of diverse nature that needed assistance. Immediately upon starting the program, with very little promotion, the donations started to flow in. A guest who works in a clothing store takes a bag of last season’s socks, teachers donate books, maps, and school supplies, a sporting goods manufacturer arrives with soccer balls and air pumps, children with toys, and the list goes on. Now, our guests regularly take specific items to support a particular house’s needs. 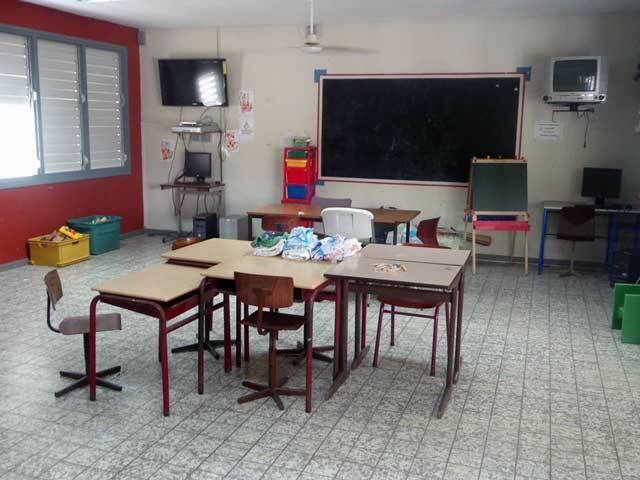 Toys, school supplies, and household items are directed to Casa Manita, a home that has been in operation for over 45 years for 38 children ages 4 through 13 years old. Toys, school supplies, and household items are also shared with two other houses: Huize Sint Joseph & Rose Pelletier, which have been in operation for 90 and 50 years, respectively, benefitting a total of 57 children ages 4 through 18 years old. Sporting equipment and school supplies are especially appreciated at Kinderoord Brakkeput, a 62-year-old home that supports 60 troubled boys ages 8 through 21 years old. But perhaps the group that has touched us most has been Kas Broeder Pius. 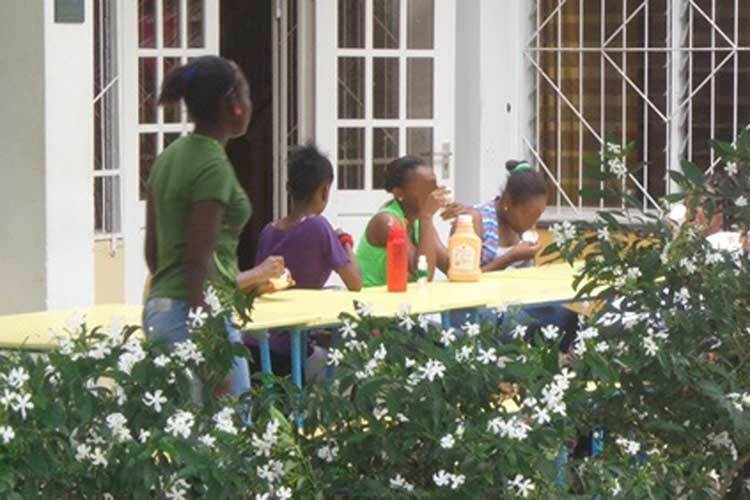 This is a home for teen mothers and their babies who have come from extreme situations. The school teaches and helps the mothers finish school and create productive lives. Ten mothers ages 14 through 18 year old live here with their babies, ages 0 through 3 years old. As I walked down the driveway that Saturday morning to meet these guests, I had déjà vu from a few weeks earlier. We had a group of people from a cruise ship that was in town for the day come to visit us. This group had found us through the Pack for a Purpose website, packed things up before leaving home, and made it their mission to find us in Curacao. 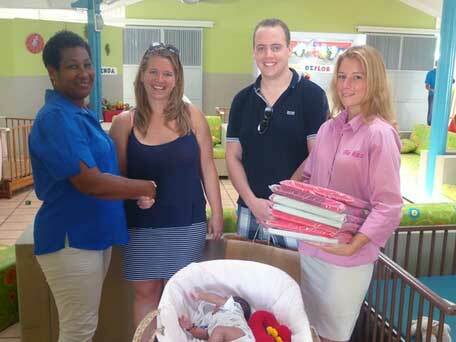 They had spent a good part of their only day in Willemstad making their way from the ship through the historic streets of Willemstad to bring several bags of donations to us! Sure enough, it was happening again! This large group came with three backpacks and several bags filled to the brim. The cruise ship donations keep coming—apparently we have made it onto the cruise ship forums and word spreads fast! Another group had seen a small advertisement on a bulletin board in a tiny travel agency office, did some research, and found us so they could donate. People are happy to have a place to donate, and Pack for a Purpose has provided the perfect structure for a program that works. Donators know that the help they provide will directly and immediately make a difference in the recipients’ lives. The fun and support does not stop here. This program has proved to be a great team-building experience for my staff as well! When donations arrive, it’s announced in our daily team meeting and everyone is excited and touched by the stories. Most certainly, every donation comes with a story and a hug and, every now and then, a tear or two. In early July, my team will host a pool party for the moms and babies of Kas Broeder Pius, many of whom have never been in a pool. We are excited to host this event and give the moms and babies a little luxury and fun! The contact that has been created with these homes through Pack for a Purpose has proven to be the starting point for even more wonderful events. We were able to connect a visiting American baseball team with Kinderoord Brakkeput. This fall, the boys can look forward to a baseball clinic hosted by this visiting team and learn to improve their confidence and skills, both on and off the playing field. Pack for a Purpose has been the “stone in the water” for The Ritz Studios. The “ripples in the water” are beginning to spread out. Foremost, the donations from our clients have had the biggest and most immediate impact. We know that visits and donations from cruise ship guests, pool parties and baseball clinics are just the beginning! Involvement with these homes has been a privilege and gratifying experience for everyone involved. More surprises are in store, and we are excited to see where this leads! 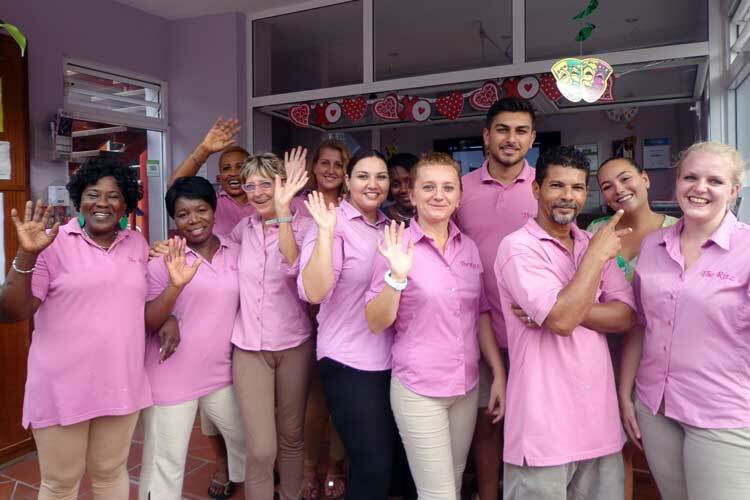 “Bon Bini” and greetings, from “Dushi” Curacao and The Ritz team!